Kachari is a generic term for a number of ethnic groups that live in the northeastern states of Assam and Nagaland, India. They are also called Dimasa. Dimasa means 'children of the big river' referring to the Brahmaputra River. Most likely they reached the Brahmaputra Valley via Tibet and settled in the foothills of the eastern Himalayas. Most live in the North Cachar Hills of Assam, India. Others live in the Indian state of Nagaland. Some have made the short migration to nearby Bhutan. They are well off financially. Some do cane and bamboo crafts or make textiles. Cultivation is their main work. Music and dance are important to the Kachari Dimasa. They celebrate many festivals. They cremate their dead by the side of a river or stream. They build their houses on hill slopes near a river. The Kachari Dimasa speak Dimasa, and some speak Assamese as well. The Kachari are a religious people who blend Hinduism with their traditional religion. They worship a number of deities including Siva Deo, Rajo, Naikhu, and their supreme god, Shibrai. People who are financially well off usually need to understand that they have spiritual needs that can only be met by Jesus Christ. 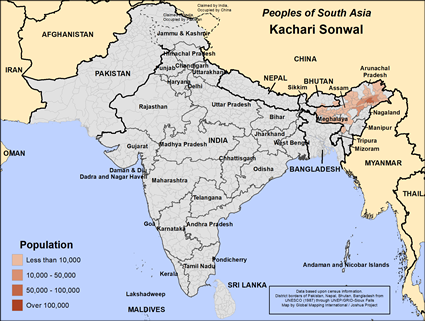 * Pray for spiritual hunger among the Kachari people in India and Bhutan. * Pray for believers to go to them as ambassadors for the king of kings. 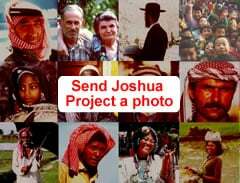 * Pray that soon there will be a disciple making movement among this people group that will spread to all their communities. https://en.wikipedia.org/wiki/Dimasa_peopleView Kachari Sonwal in all countries.